Work has started on a $1.2 million project | LaFever Excavating, Inc.
Work has started on a $1.2 million project designed to reduce flooding in the Town of Walton. Posted on November 13, 2018 Author Lafever Excavating	No Comments on Work has started on a $1.2 million project designed to reduce flooding in the Town of Walton. 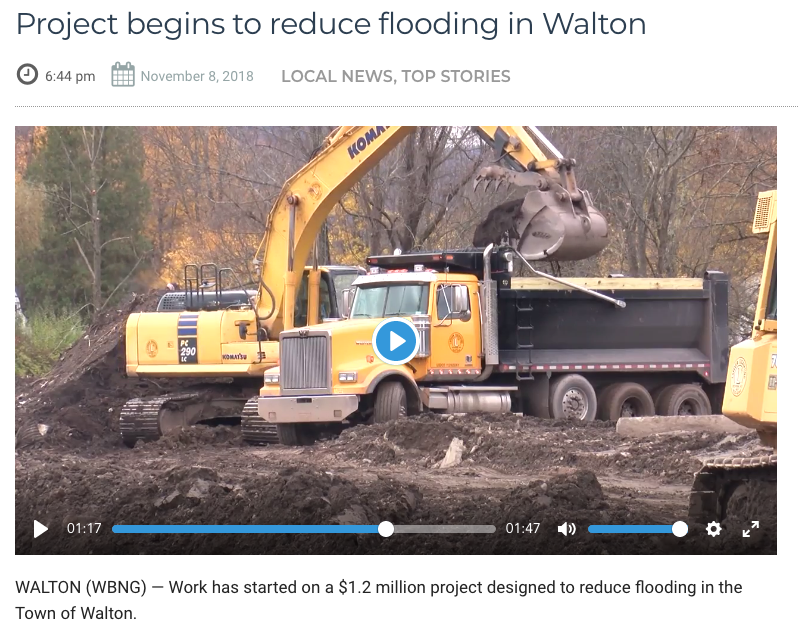 WALTON (WBNG) — Work has started on a $1.2 million project designed to reduce flooding in the Town of Walton. The soil reclamation project is eight years in the making, and will involve removing more than 50,000 yards of soil. This will allow the water to drain into the space and away from Delaware Street, which often floods. The project manager says the project is so important because the town floods far too often.